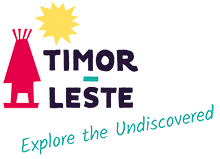 Timorese are very creative with their unique style and workmanship. Their most famous handicrafts are tais (traditional hand woven fabrics), many of which are sought by serious collectors. Tais are produced in different colours and designs depending on the community where they are made. Other attractive arts and handicrafts include finely woven baskets and mats, paintings, pottery, jewelry, dolls and intricately embroidered bags, musical instruments, metal knives and wood carvings. Locally purchased arts and crafts make a wonderful gift and can be readily sourced from handicraft shops, roadside stalls and at local markets throughout Timor-Leste. One of the joys of travelling in the districts is when you come across local people creating beautiful items such as weaving cane ware, working a back-strap loom or carving figurines.